Ralph Cumbers’ debut Bass Clef 12″ for PAN sees the modular maestro stalking the ‘floor with typical, technical suss and cheeky UK humour. The ‘Raven Yr Own Worl’ EP is the latest and most sharply focussed in a golden streak of releases which have seen the London-based producer tour some of the bastions of British electronica, from Punch Drunk to Alter and Public Information, not to mention his own, cultishly adored Magic + Dreams label. Thru the prism of his favoured BugBrand Modular system – handmade by Bristol’s Tom Bugs – the four tracks of his ‘Raven Yr Own Worl’ EP patch a lattice of reference ports between Radiophonic experimentation, bedroom electronica, classic dub production techniques, and the not-so-distant spirits of halcyon UK rave music. His ‘Self-Perpetuating Fun Loop’ is razor-sharp acid funk in the tradition of Luke Vibert and the Rephlex hordes, and ‘Fluorescent City Shining City’ a deftly playful piece of acid dub strut recalling early Two Lone Swordsmen. His bleep techno tribute ‘Euphoric Nihilism’ is possibly the most intricate and evocative number, also flashing glimpses of ‘ardcore whistles and EBM in its tightly coiled matrix, whilst ‘Adventures Unventured, Tenderness Untendered’ is a blissed steppers’ kiss off meeting digi-dub and misty-eyed IDM at the warehouse. 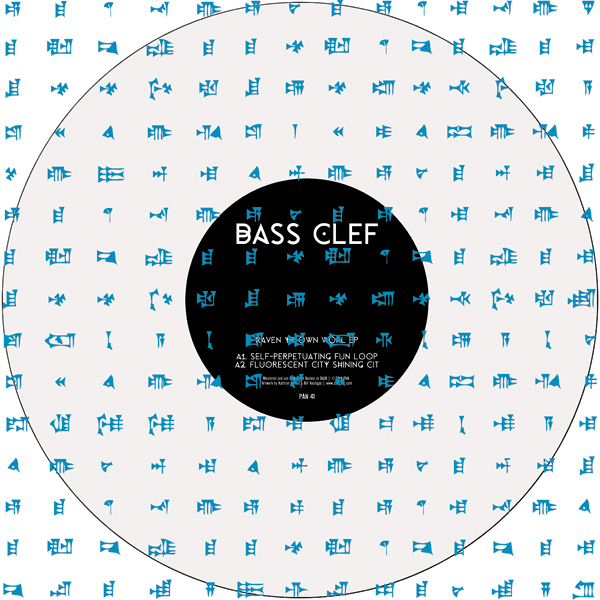 The effortless fluidity and charm of these tracks belies the skill, personality and intuitively dextrous approach of Bass Clef and his affinity with the machine. They’re timeless pieces of UK electronica carrying the weight of heritage forward. Bass Clef is due to tour in his Some Truths alias with Tom Bug, promising uniquely alien electronic soundscapes with each performance. The 12″ is mastered and cut by Rashad Becker at D&M. It is pressed on 140g white vinyl which itself is housed in a silk screened pvc sleeve with artwork by Kathryn Politis & Bill Kouligas.